They are inextricably linked. One is the price you pay for the other. This is true whether you are a city, a company or an individual. The problem with this comes when we live with a belief that it shouldn’t; that we must first eliminate the potential for danger before we can pursue or embrace freedom. It becomes a tool we can use to block progress. Either all our focus and energy goes into trying to create an impossible amount of safety that will never come or we get stuck waiting for it to magically happen on its own. What is the wisest way for me to manage risk? If you are particularly risk-averse then you probably shouldn’t, for example, be self-employed. You are trading a portion of your independence for an increased sense of security. If, however, freedom is a particularly high value for you, your challenge becomes living with more risk. The same is true on a personal growth level. If you are a seeker then you must develop a willingness to step out of your comfort zone. 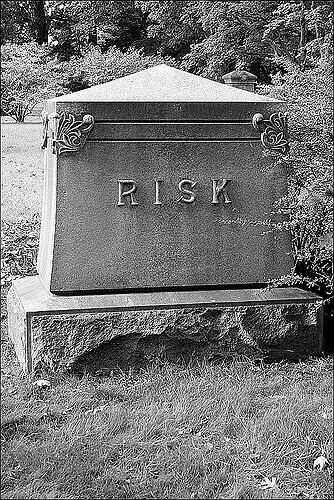 A client of mine once mused during a session that he was looking for some risks to take because he thought it would be a good thing to practice. Of course this sounds reasonable in theory. If I follow my career passion, how will my wife react? What if I’m not as good at it as I thought? Will it take me away from my kids? He didn’t need to go find extra risks. Understandably, he was more interested in safe, inconsequential chance-taking, and that can be used to block or distract from the relevant, authentic risk that growth demands. Just to be clear: the solution is not recklessly jumping in the deep end either. The trick (as is so often the case) is to seek a place of balance where risk is neither unrealistically excluded nor allowed to dominate and define the situation. Ready to risk exploring the risks you need to take? Get in touch with me here.